Collaborative Research and Demonstration project within the Energy programme of the European Union. The project addresses the complete value chain from feedstock potential, the investigation of pyrolysis and hydrothermal carbonisation conversion technologies, the optimisation of transport and logistics to the exploitation of the energy carrier and its by-products. 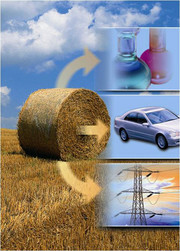 The techno/economic and environmental assessment includes the complete supply chain.